Red tide showed no signs of waning as August came to a close. 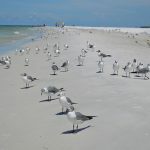 And neighbors along the Palma Sola Causeway can expect more opportunities to join cleanups along the causeway beaches. The causeway — which runs along Manatee Avenue from west of 81st Street to the Anna Maria Island Bridge — showed high concentrations of red tide the week of Aug. 16-23 in testing by the Florida Fish and Wildlife Conservation Commission. 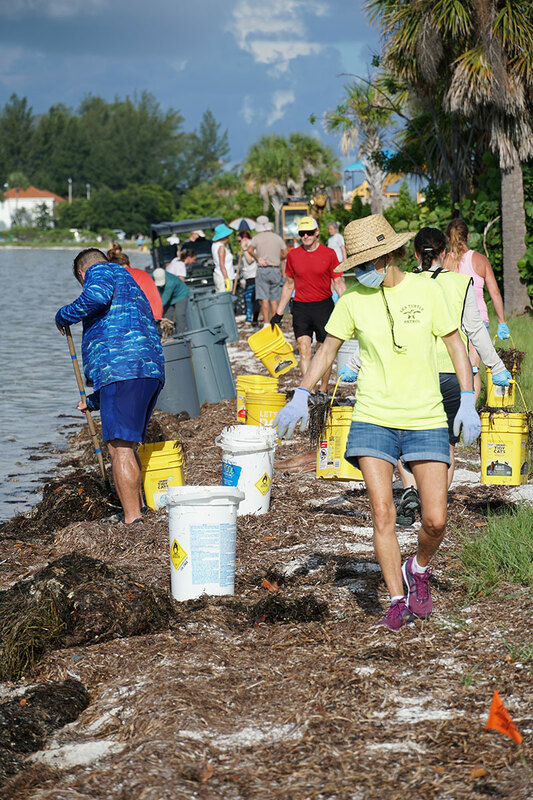 A county effort boosted by social media and led by Melissa Nell, manager of volunteers for the Manatee County Parks and Natural Resources, brought volunteers to the causeway Aug. 22. On a half-mile strip of Palma Sola beach, about 40-50 volunteers raked, shoveled and collected dead and decaying sea life — mostly fish and crabs, victims of the toxic Karenia brevis organism — for transport to the landfill. 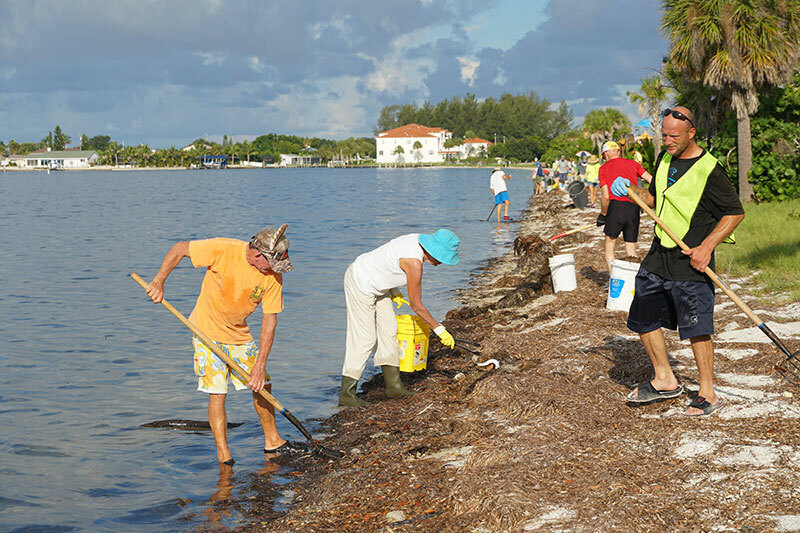 The next day, volunteers were set to comb the mangrove shoreline for dead fish at Perico Preserve on Manatee Avenue east of the Anna Maria Island Bridge, but the cleanup was canceled due to thunderstorms. “It is very demoralizing to see so much of our ocean die,” Nell said Aug. 22. “And nobody had to be here. This is a testament to how many people care,” she added. 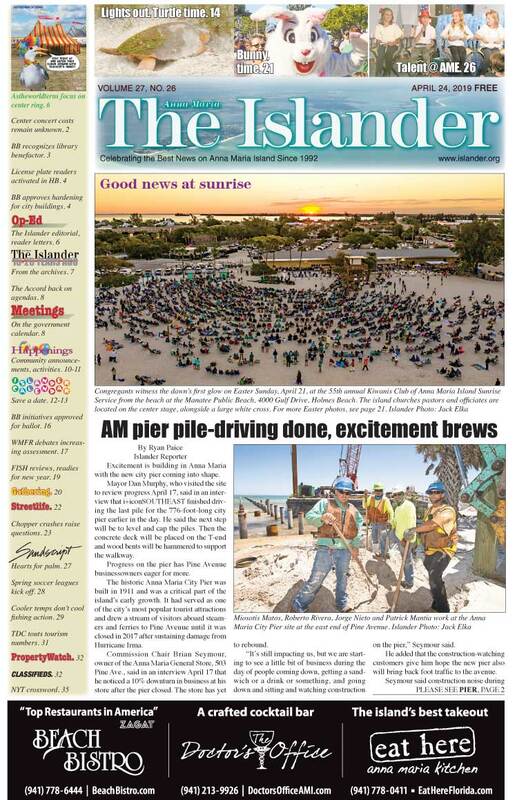 Nell credited volunteers for removing the debris by hand, necessary because a mechanical rake could have damaged the narrow stretch of beach. In addition to the parks and natural resources staff, county public safety and property management departments joined the cleanup effort. Testing from the FWC also pointed toward the possibility. Levels of the K. brevis organism at Palma Sola Bay Aug. 23 increased from medium to high levels of concentration— more than 1 million cells per liter. The red tide in the bay is part of a 145-mile-long toxic bloom stretching from northern Collier to Pinellas counties, with K. brevis patches 10-50 miles offshore, according to FWC information specialist Jonathan Veach. As the bloom traveled north, he said the counties to the south saw little relief from the red tide, though some areas in Charlotte County showed improvement. The FWC specialist saw no end in sight for red tide in Manatee County as of Aug. 22. For more county volunteer opportunities, go to Manatee County Parks and Natural Resources Facebook page as well as the park and natural resources red tide, calendar and event website pages on www.mymanatee.org. Our family absolutely LOVES AMI! We’ve been visiting for more than 30 years. We’ve also been there several times during red tide. To all of those that are working and volunteering to help clean up, take care of the animals and keep the island beautiful, we thank you!